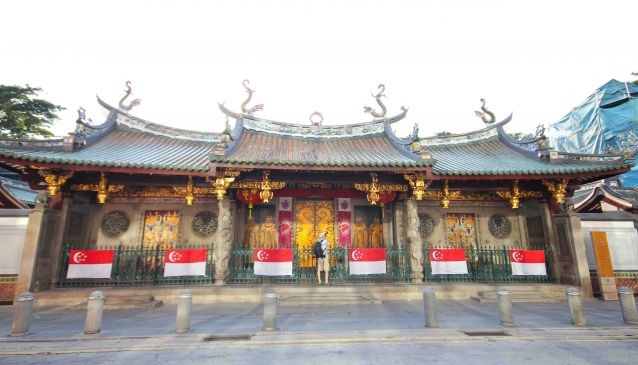 The Thian Hock Keng is one of the oldest Hokkien temples in Singapore, historically visited by Chinese immigrants giving thanks and asking for a safe voyage to the Goddess of the Sea called 'Ma Zu.' Built with traditional Chinese architecture in mind in the href='/singapore/regionalinfo/6183353/central-business-district'target='_blank'> Central Business District, the entire temple was assembled without the use of nails. This masterpiece is made of tiles, wood and stone and carries intricate sculptures and details. The Thain Hock Keng temple is managed by Singapore Hokkein Huay Kuan. The temple's construction was completed in 1842 with several restorations since, one of which won four architectural awards including the prestigious UNESCO Asia-Pacific Heritage 2001 Awards for Culture Heritage Conservation Building.